This ad debuted the well known European brand of laboratory water purification to the Northern American market. A strong trade show presence and affiliation with USFilter aided in the launch. 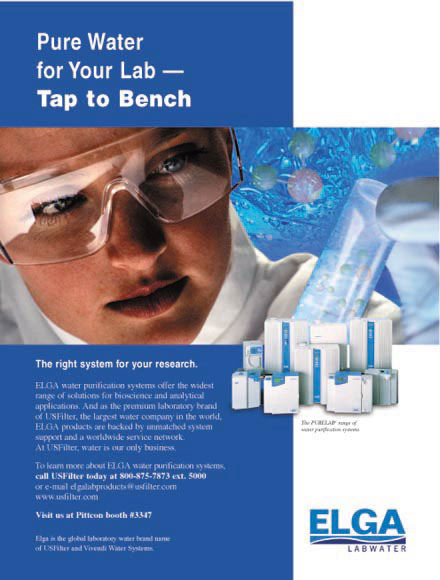 A journal ad introducing the well know in Europe water filtration company, to North American wet bench laboratories.